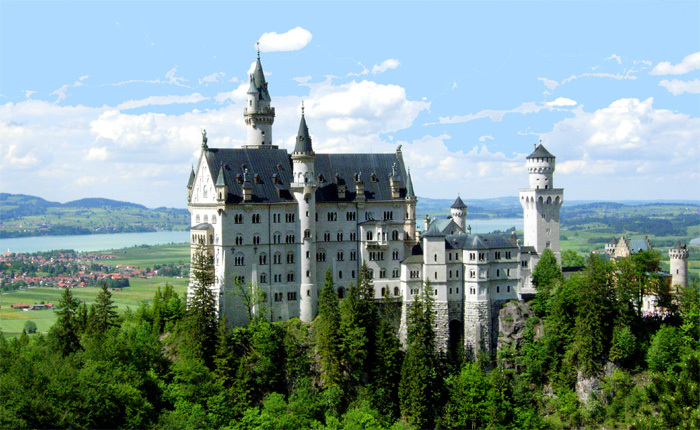 The Fairytale Castle - Here's the majestic inspiration for Disneyland's Sleeping Beauty Castle. Neuschwanstein Castle (German: Schloss Neuschwanstein) near Füssen, Germany. You take some fantastic photos! They made me so excited to revisit Germany. I am so glad to hear that. Do share your travel images as well. Really lovely! Although the title Bavaria might be more fitting, no? Great shots!